“Occasionally life slaps you in the face to remind you of where you came from…”A marijuana farm.A runaway girl.A “tribe” of hippies.Not all journeys of self-discovery start the same way… Kitty, a young successful LA resident, has it all—good education, fashion career, rich friends, handsome boyfriend. But there comes the moment in her life when she realizes—chasing money and other people’s dreams is not what life is about. Lies, gossips and backstabbing creep up on her like snakes in the jungle until one day she has a meltdown.And she runs… All the way to her long-time friends who are in charge of a pot farm… There Kitty finds herself in a community of free-spirited people who gathered together for seasonal work. She doesn’t fit in and she could care less. Full of bitterness and despise for the individuals that snobby and stuck-up Kitty would never in any other circumstances even talk to she reluctantly joins them for “trim” work and unwillingly becomes a witness to their lives full of experiments and craziness.And that’s when things take an interesting turn…“Bwanana Chaos” is a strange, funny and exhilarating tale of chance, change and letting go. It’s a journey into a place where weed growing is just another regular job, crazies are in the majority, deviants and breaking rules are the norm, nonsense makes total sense, strange becomes familiar and chaos is beautiful. 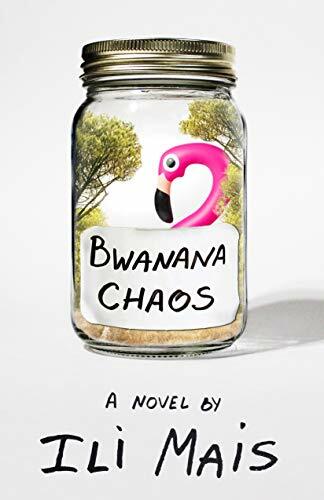 “Bwanana Chaos” is a celebration of freedom, new beginnings and an entertaining journey into the West Coast cannabis culture.